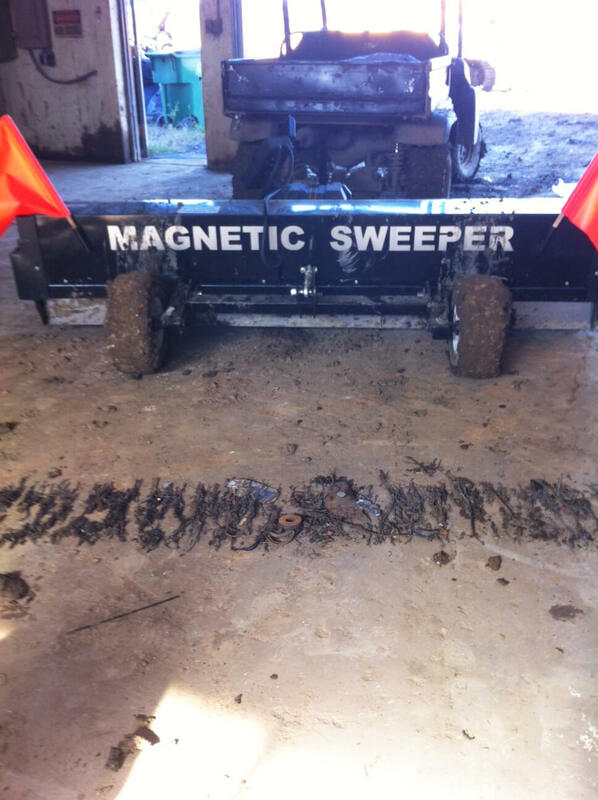 We love the new magnet; it allows us to go over rough terrain (which we have a lot of at the landfill) that our old magnet just couldn’t handle. Based on the metal items such as nails and screws that we are picking up we estimate we saved over 100 potential flat tires in our first trial pass with the magnet. ~D. McElroy, Sanitary Landfill Superintendent, City of Sioux Falls Public works. 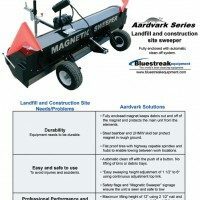 The Aardvark is a fully enclosed automatic towable sweeper for landfills, construction sites and mines. Clean off debris with a push of the button! 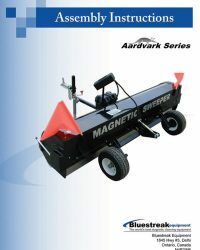 The Aardvark magnetic sweeper is designed as a severe duty all terrain tow behind magnet that is packed with features. It’s ready for severe duty keeping rough terrain and large areas free of dangerous metal debris. 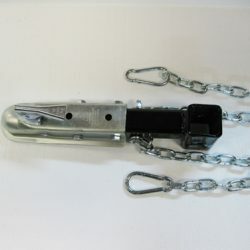 For one, it has a fully enclosed magnet which means you don’t have to worry about metal debris getting all over the magnet. 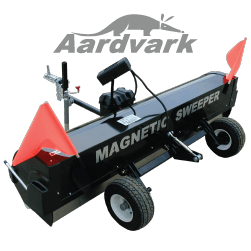 The Aardvark has an 8 foot sweeping width and also features an automatic clean off system. Clean off debris with a push of the button! 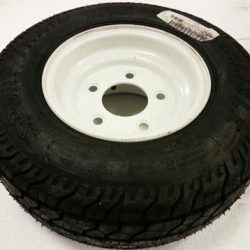 The 16.5″ x 6.5″ flat proof, hub and spindle wheels make this a unit that can go into the worst road conditions to help you eliminate down time costs caused by repairing flat tires punctured by metal debris. 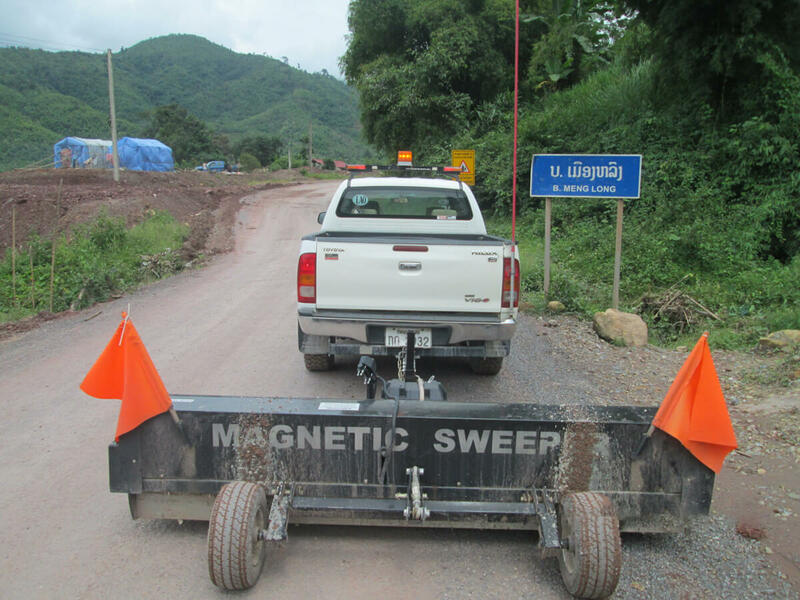 The Aardvark magnetic sweeper is good for applications such as cleaning landfill sites, construction sites, mining areas or any larger rough terrain areas. "We swept our operations yard for the first time and were taken back by the amount of material this unit collected and now understand why we were getting so many tire punctures." The Aardvark has a permanently charged magnet in it that weighs close to 600 lbs and with a magnet this big, clean off has to be automated in some way. 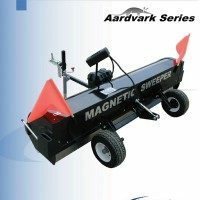 The Aardvark utilizes the simplest most proven and effective method of automating clean off which is to rotate the magnet around a pivot point on one side to rotate the magnet upward to physically separate the magnet from the debris. To do this a 4000 lb winch is used. Rotating the magnet around a pivot point on one side takes less effort than lifting the magnet straight up and the 4000 lbs winch does this with no problem. The normal steel winch cable is replaced with an Amsteel blue synthetic winch rope in order to withstand more frequent unwinding and winding. 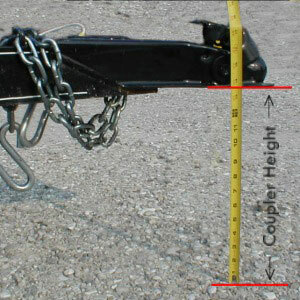 A normal steel winch cable would fatigue and break with a limited number of uses. The winch is designed to be powered by a deep cycle marine battery. 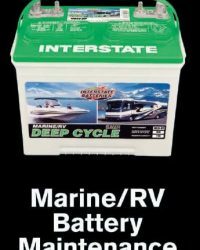 A marine battery does not come with the unit but should be used instead of a regular battery because they are designed to be used in these circumstances much like they are used for trolling motors in boats. They can also withstand some bumping and bouncing. 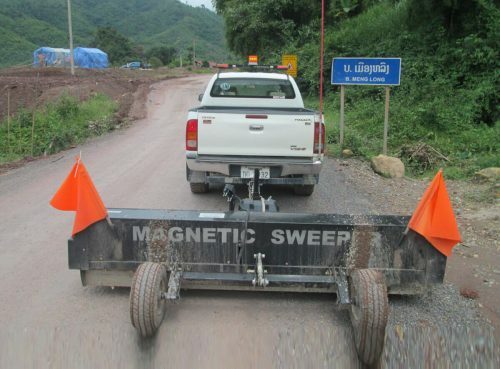 The “Wrap Around” feature prevents debris from falling off due to ground strikes, or dirt and grass pushing the debris backward on the magnet and off the back. Instead of the debris falling off the back when pushed backward, the debris just wraps around onto the back side of the magnet. Adjustable sweeping height from 1 1/2″ to 6″. 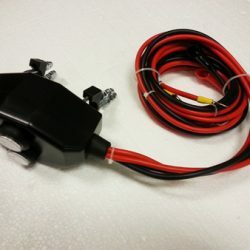 Adjusts to suit all off road conditions. Continuously adjustable sweeping height by turning the top link (gold in color as show in pictures) allows fine tuning of performance in any terrain and conditions for optimum performance. Angled 12 gauge steel bash bar and UHMW skid bar to protect sweeper on rough ground. Safety Flags and “Magnetic Sweeper” signage ensure the equipment is seen to improve safety and reduce accidents. 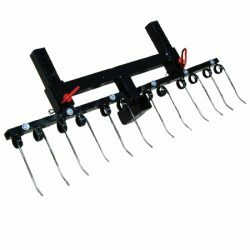 Available with optional Debris Digging Rake (DDR96) accessory to loosen partially embedded debris. Optional Pintle Hook available to replace 2″ ball coupler. “Bearing Buddies” on both hubs to ensure continuous lubrication and easy maintenance, just fill with grease occasionally. Eight foot sweeping width to cover lots of ground fast. Maximum Lifting height – 12” (using a two and a half inch nail). 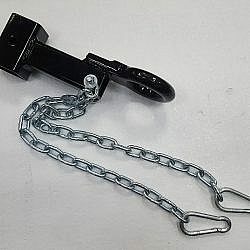 Adjustable coupler hitch height from 13" to 23" to match any tow vehicle hitch height to ensure sweeper can be towed level for optimum performance. Coupler Height 2″ Ball with 6 adjustment coupler heights of 13″, 15″, 17″, 19″, 21″ and 23″. 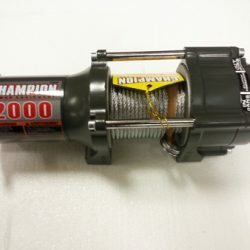 It’s awesome, very pleased. Beyond the nails it was expected to pick up, it has picked up a three foot piece of rebar, circular saw blades, and hedge clippers. I have decreased flats by more than 80% so far. Good morning Mike, I had my guy pull the road this morning, and this is what we picked up in only 1 pull. Pete, thanks for the email and pictures. I’m really glad to hear that. Is there anything you don’t like about the Aardvark? We’re always looking for ways to improve things. Not at all, it works better than I thought it would. People need to know how awesome it is and the cost savings on tires alone. I thought I would send you a few photos of one of the sweepers at work on the public road and the material collected. 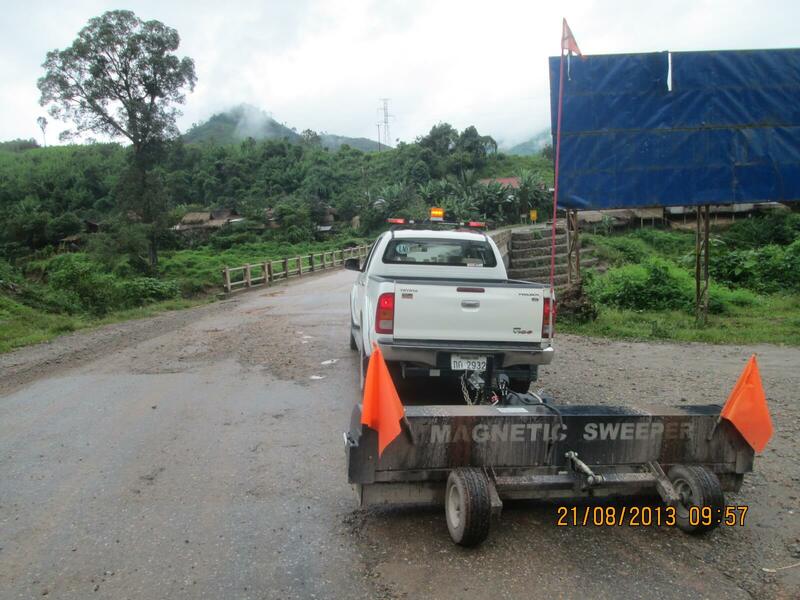 We now sweep 66 Kilometers of the public road and we are already seeing a decrease in the incidents of punctures. We made a video today for you. Our IT guy is going to see how to format it and get it to you. I think you will be quite happy with it. The unit works great. 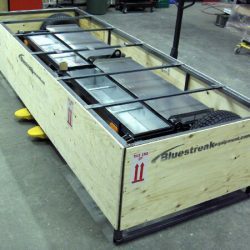 Cudo’s to you and the folks at Bluestreak. Not long after assembling the Aardvark our Maintenance Mechanic (Matt) and I were backing it into the fleets garage to torque the wheels down when we heard a clank. The shops supervisor goes whow!” We stopped to see what had happened. Matt and the guys in the shop started because the Aardvark pulled a 12″ x 4″ storm grate out of the ground. Mind you it was loose but that was impressive. After making several passes around the landfill the Superintendent met us at the metal pile and was quite impressed and very happy with the Aardvark. Many of our landfill staff were enthused by its performance. Mike this is a great product and was worth the wait. We hope you will enjoy the photos and videos. If you need more don’t hesitate to email or call. We did get quite a few questions from other landfills that were interested in the magnets and how they have worked for us. One of our employees commented that the last flat he got was due to a sidewall tear so it cost him over $150 to replace the tire. The use of the Bluestreak magnets should greatly reduce the amount of flat tires. 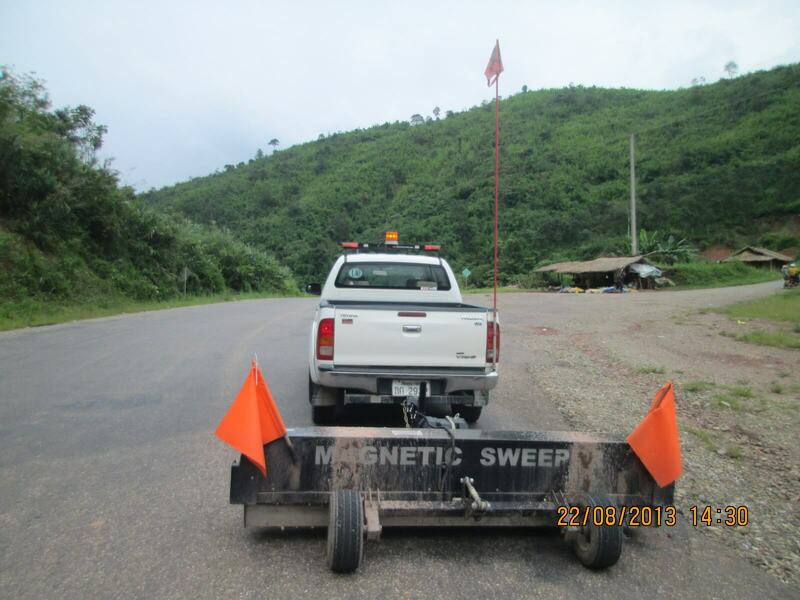 Attached is a report that one on my Lao guys did on the magnetic sweeper which I thought you might like to read. 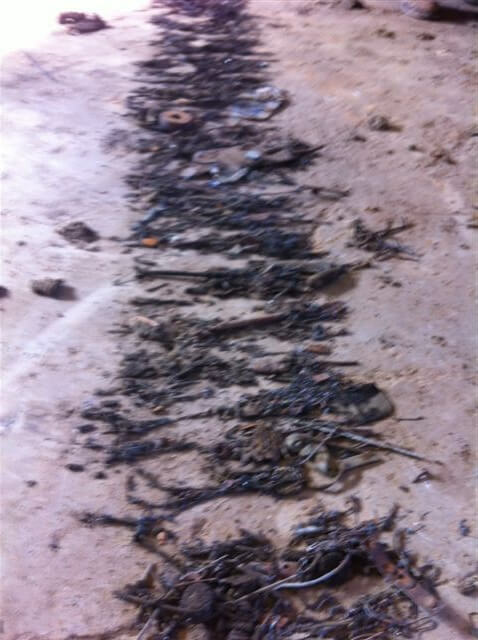 We have been surprised at how much metal we have collected from around the sections of the mine site that we travel. 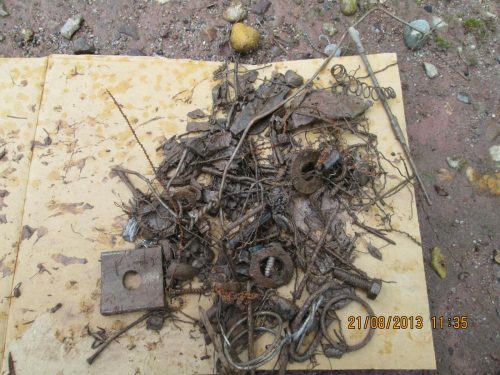 I am pleased to advise you that we have finally cleaned up most of the metal on site and I have attached a separate photo of what was collected yesterday by the sweeper at the mine site. You can see the significant reduction in material collected. This is also evident in the number of puncture we are getting in our truck tires as they have reduced significantly. 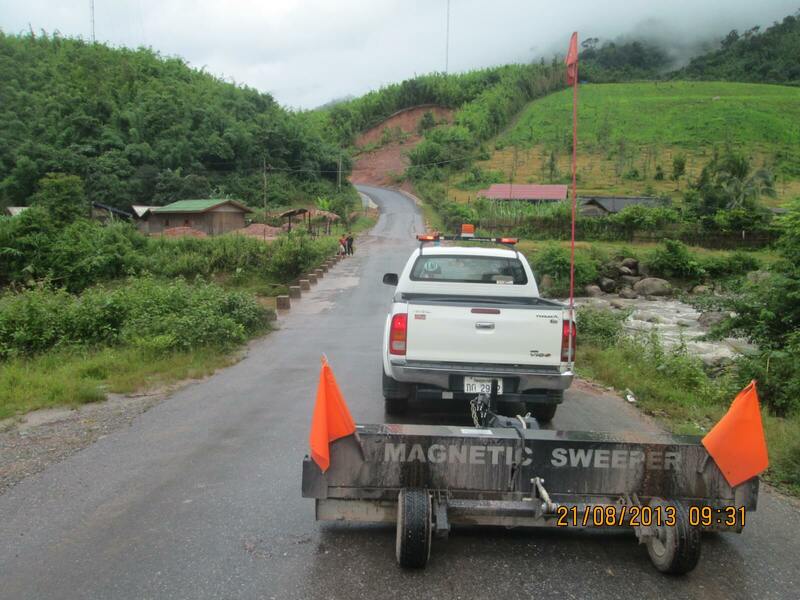 I just wanted to let you know how pleased we are with the performance of the magnetic sweepers we purchased. easy to operate and even easier to clean..
Just thought I would let you know we have received and set up the first sweeper and it is fantastic. We are very impressed with how well it has gone during trials and both units it should be in full operation within a few days. We swept our operations yard for the first time and were taken back by the amount of material this unit collected and now understand why we were getting so many tire punctures. The Aardvark is easy to operate and even easier to clean so overall we are extremely happy with its performance. Thank you very much for your assistance with the shipping and we appreciate your prompt response to our email inquiries. 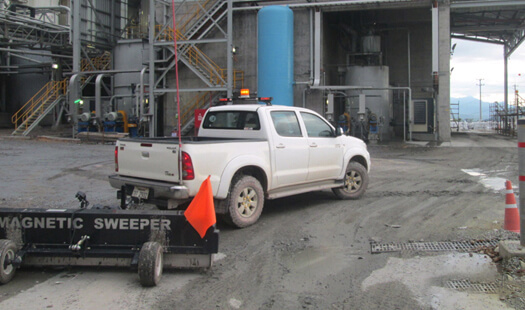 We look forward to seeing a significant reduction in tire punctures as a result of using this sweeper. Glad to hear you like it. If you have any photos or videos of your trials, we’d love those as well, if you can share them.